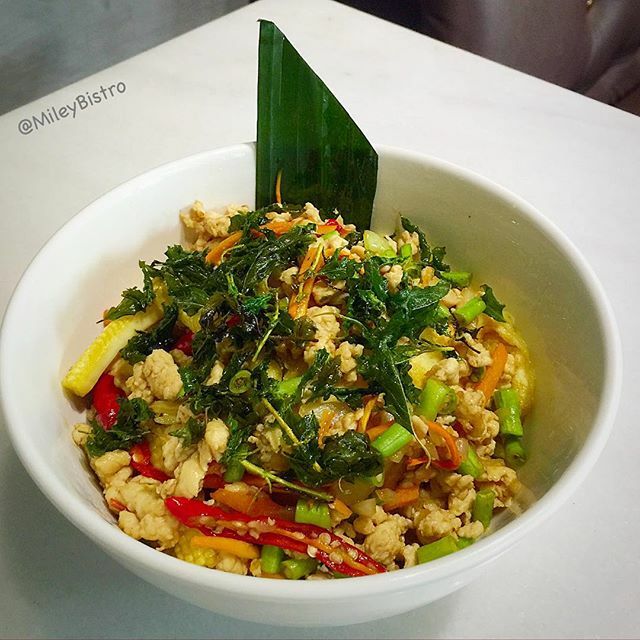 Miley Italian Fusion Bistro | Thai Holy Basil Chicken Rice served in a bowl, trust me, you will love it to the last grain of rice 😉 try it at Miley Italian Fusion Bistro, also available with seafood or pasta. Thai Holy Basil Chicken Rice served in a bowl, trust me, you will love it to the last grain of rice 😉 try it at Miley Italian Fusion Bistro, also available with seafood or pasta. Published September 16, 2015 at 640 × 640 in Thai Holy Basil Chicken Rice served in a bowl, trust me, you will love it to the last grain of rice 😉 try it at Miley Italian Fusion Bistro, also available with seafood or pasta.